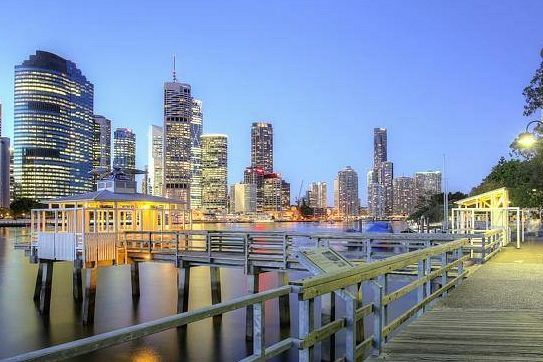 The plethora of new luxury apartment towers about to hit Brisbane for the first time since the global financial crisis are finding buyers — former Queensland treasurer Keith de Lacy the latest to be captivated at the thought of opulent tower living. The former Labor power­broker and former chairman of Macarthur Coal has bought a $2.7 million three-bedroom apartment on level 31 of Sunland’s Abian tower, one of several of the new breed of prestige-style luxe apartment towers about to dot the river city’s skyline. Mr de Lacy joins celebrity ­television chef Matt Moran, who paid $1m for a two-bedroom apartment in the Abian tower this year. North Queensland property identity Pat O’Driscoll is also lining up for a $2.1m three-bedroom apartment in Abian. Brisbane property developer Peter Kao of real estate group Juxgold has also spent about $1m buying into Abian, which has 147 units. RP Data research analyst Cameron Kusher said there had been a pick-up in luxury apartment developments and buyers in Brisbane. “There are quite a few off-the-plan developments targeting wealthy buyers,” Mr Kusher said. “If you look at the market there has not been a lot of growth for seven to eight years. As we see a pick-up in Sydney and Melbourne, hopefully Brisbane is the next cab off the rank. Construction has started on the 41-level Abian tower opposite the Royal Botanic Gardens, and ­Sunland is about to launch two 550sq m penthouses atop the complex. The penthouse facing Southbank has a $7.25m price tag while the one facing the Storey Bridge is priced at $7.95m. Both feature ­private pools and external terraces. Mr Krippner said many of the subpenthouse and sky villa buyers in the Abian complex were ­relocating from other Brisbane apartment towers. “They liked the higher concentration of premium product in the tower,” he said. Abian is expected to be ­finished in 2017.